Hand Toss - Garden Defense is one of our favourite games this month. It has really stunned us with its overall design and gameplay, it has addicted us to the fullest as well! That's why we are sharing it with you, our readers, again. But this time as a Puzzle Game of the Month! What is Hand Toss – Garden Defense all about? Hand Toss is one exciting and entertaining puzzle game that offers a physic-based gameplaying, giving the users challenging levels to improve their fast and precise reactions. The game is easy for playing, simply created, suitable for all ages. The users are given an interesting story, the garden is attacked by monsters that have dig up tunnels under the garden and are destroying everything around them. The users need to use many different and powerful projectiles to hit and destroy those monsters, saving the garden. This game is quite challenging. With every level passed, the game brings a new more challenging and harder to pass level, offering the users always new challenges to save the garden. The users only have one shot for hitting and destroying monsters and the time for passing the level is limited. New levels, new weapons. 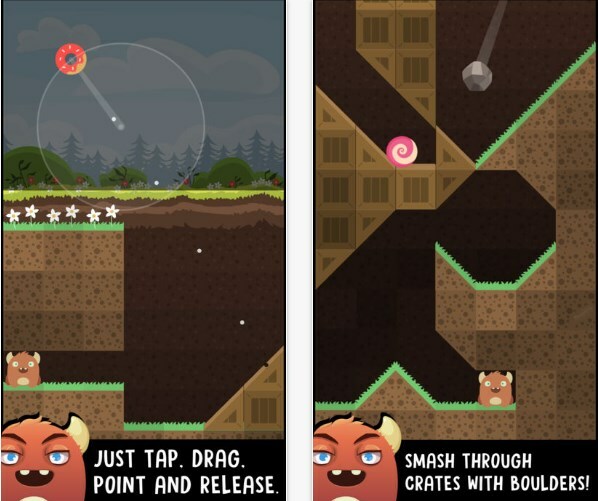 Getting to new level offers the users to unlock new and more powerful weapons as arrows, boulders and bombs for hitting the monsters. 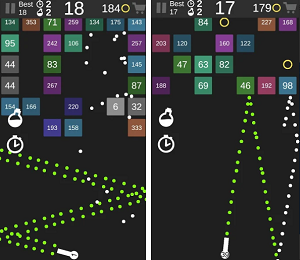 This game offers 4 different worlds with 64 challenging levels for passing. For higher scores and unlocking new projectiles the users need to collect stars. More collected stars is giving the users access to new ball styles for more exciting gameplay. Download the game Google Play and App Store now for free.